Cleaner Blackheath is a leading provider of professional end of tenancy and move out cleaning services in Blackheath, SE3. Call us for a quote! Many renters know that they have to clean their rented apartments prior to leaving but they lack the resources and knowledge to do it effectively. What landlords expect is a professional clean, which is why tenants oftentimes resort to end of tenancy cleaning services. Our company specialises in this type of service and we are ready to prove you that we are worth hiring again and again, whenever you need us. Cleaner Blackheath work with specialists who know how this type of cleaning is performed to please exacting people. Our service is very thorough and efficient. 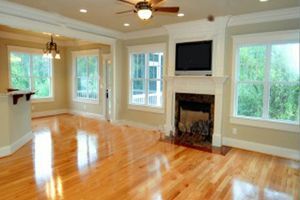 We offer wiping, cleaning, dusting, mopping, vacuuming and anything that can be done in the house. The only difference is that we do it in a professional manner and with an eagerness hard to find anywhere else. Check our prices. We have some of the greatest cleaning equipment that the market has offered in recent years. This is yet another reason for our success. Clients in Blackheath are pleased with our cleaning system and they speak very highly of us, even recommend us to their relatives and friends. We know that most landlords inspect the premises before tenants leave. That’s why end of tenancy cleaning is usually performed on the day of the inspection or the day before. We are ready to devote 6 to 7 hours to clean your rented apartment and achieve the best results so that your landlord is pleased with the service. Most renters just want to get their damage deposit back. We promise you that after we complete the service, you will get your money back. Call us now. What happens if you are not fully satisfied with the cleaning? Honestly, we doubt it will be the case, but if it happens so, we would like to reassure you that we have a guarantee. It starts right after the service has been conducted and lasts 48 hours. Within this time period, if you are anything but satisfied with the cleaning we did, you can request a re-inspection of the work. We will then re-clean the areas you’re not content with. Just so you know, we cover Blackheath and several adjacent areas. It will be nice to hear from you if you need to book a service. We hope you get in touch with us soon.